Oster 10-Cup Food Processor Just $26.99! Down From $50! PLUS FREE Shipping! You are here: Home / Great Deals / Amazon Deals / Oster 10-Cup Food Processor Just $26.99! Down From $50! PLUS FREE Shipping! This Oster 2-Speed 10-Cup Food Processor is now offered in Amazon for just $26.99 down from $49.99 PLUS FREE shipping! Take your culinary skills to a new level with the Oster 10-Cup Food Processor. 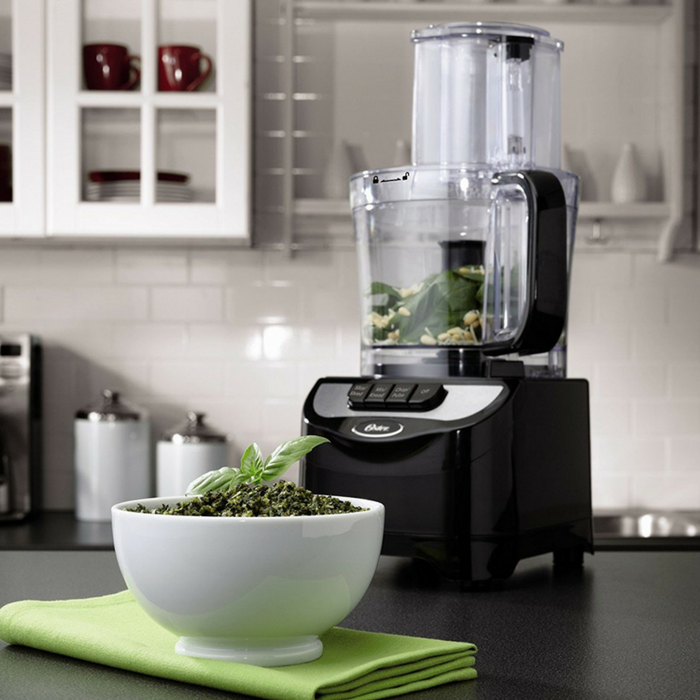 Powered by a 500 watt motor, this electric food processor makes sure that many of your cooking tasks – including chopping, blending and grinding – are done in minutes. With two speed settings, this food processor gives you complete control over the food being processed. The pulse control lets you ensure the food is not over-processed.